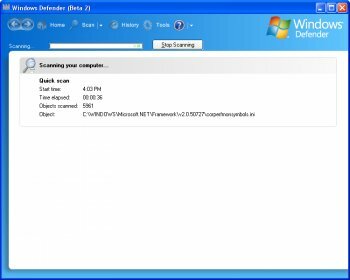 Windows Defender is a security technology that helps protect Windows users from spyware and other potentially unwanted software. Known spyware on your PC can be detected and removed. This helps reduce negative effects caused by spyware including slow PC performance, annoying pop-up ads, unwanted changes to Internet settings, and unauthorized use of your private information. Continuous protection improves Internet browsing safety by guarding over 50 ways spyware can enter your PC. The worldwide SpyNet community plays a key role in determining which suspicious programs are classified as spyware. Microsoft researchers quickly develop methods to counteract these threats, which are automatically downloaded to your PC, so you stay up-to-date. Very good, and well designed for Windows. I used Defender early on in XP, never found one thing. 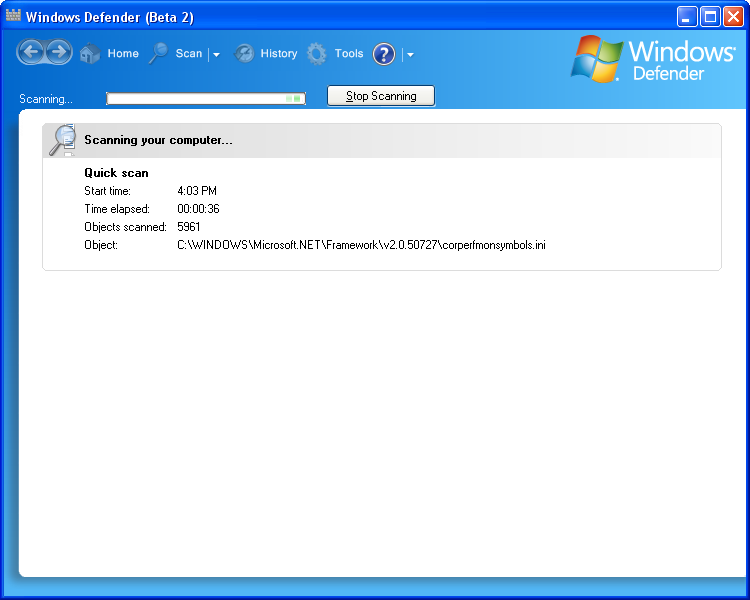 Now 1 1/2 months later in Vista, still the same, never finds anything while Webroots Spysweeper is often triggered. I went to edit a photo using Windows Photo Gallery and immediately Spysweeper prompted me of an embedded trojan, Windows Defender, not a peep. I use Defender for the Software Explorer under Tools. Nice feature, I give it a 3 for that. Not me First Blood.I suggest Spyware Terminator.The best i have used in eight years. THis is a step in the right direction for MS for their OS, it still has a long way to go to get everything spybot and ad aware get. But in saying that, spybot does not find all the items ad aware finds, and on a few occasions defender has found a few items neither had. Anyway - Defender never found a thing - ...other programs have. The release notes page isn't updated with this version. MS is on the ball lately with these "silent" updates. Piece of crap. Slows the computer down, has poor detection rates, always has problems updating and the GUI could be better coming from Microsoft. Spyware Terminator is also free, and so much better than Windows Defender. Its detection rate is a joke. Do a google search about it. Use something rebiable like Kaspersky, NOD32, AVG, or Avira instead. Also use Spybot S&D as a backup against spyware.